Many people have been looking for ways to get the most from their air conditioning system. New home designs can make use of sunlight and natural ventilation. Some cooling solutions have less impact on the environment, such as evaporative cooling. For evaporative cooling, Doncaster and the north-east region have access to a supplier of advanced systems at Everlasting Air. You will need to consider which system will work best in the space to be cooled. Other considerations are whether it is to be included as part of the design of a new home or it is to be installed into a home that has already been built. There is a range of modern cooling systems. As we prepare for summer, we need to make sure we have a suitable system in place. When it starts to warm up, we want to have an efficient cooling system that we are able to simply switch on and enjoy the results. It is becoming more and more important that the system we choose is as efficient as possible. The cost of electricity is high and it looks like it is going to keep increasing for a while. Everlasting Air is able to provide highly efficient, quality air conditioning systems at an affordable price. Maybe you live in the north-east of Melbourne and you are looking for an evaporative cooling service in the area around Doncaster? The installation of a quality evaporative cooling service would be covered by a workmanship warranty of six years, so you can be confident that the job will be done right. It is important to choose a suitable system that will work well in your property and also limit the amount of extra money you need to spend on your power bills. Evaporative cooling is popular as it is effective and relatively cheap to run. It works on the basis that the evaporation of the water will be able to cool the air and make your living space cooler. The scientific principle is that the heat energy that is in the air is used to turn the liquid water into a gas (water vapour), which means the air will then cool down. This method has been used for thousands of years. The ancient Egyptians hung dampened reeds over their windows and they also placed pots filled with water in their passageways. 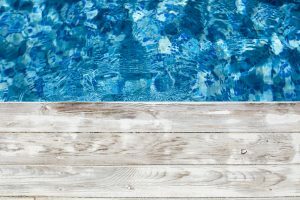 The ancient Romans used internal courtyards with fountains or pools of water so that cooler air could flow through the house. In the Middle East, buildings were designed with wind catchers that directed air from outside over a cooling fountain. In older times in Australia, we took advantage of this principle for food cabinets in the outback by wetting a piece of material and as air passed through it the water would evaporate, creating the cooling effect. The concept has been refined and developed extensively and is now used in well designed modern evaporative coolers. These systems use a fan to draw air in from outside which then passes through a wet cooling pad. As it passes across the pad, the process of evaporation takes place. The system ensures that the cooling pad is kept constantly wet when the cooling unit is functioning so that the air is continually cooled. Evaporative cooling is most effective when the level of moisture already in the air is relatively low. Melbourne’s environment is suitable for this. Evaporative cooling is based on natural processes that will keep the air moist and the air does not need to be recycled. 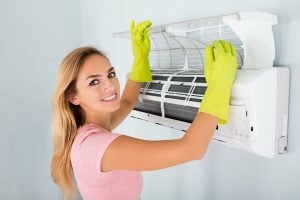 Other air conditioning systems dry out the air, usually have to be fairly enclosed to work effectively, and use chemicals that are potentially dangerous. The dryness in the air from refrigerated air conditioning systems can cause a number of negative health impacts as well as dehydration. With evaporative coolers, you can keep the doors and windows in your home open, so the air does not become stale or full of volatile chemicals. The cost of installation for an evaporative cooling system is usually substantially less than for a refrigerated system. Operating costs will also be much lower. It has been estimated that when using a refrigerated system, you will be paying double what you pay to run an evaporative system. With an evaporative system, you are paying for water and running an electric fan. Refrigerated systems use a lot more electricity for their refrigeration system, which includes special pumps and compressors. This also means that repair costs will be lower. Refrigerated systems have much more that can go wrong and the cost of parts can be high. The design for the evaporative cooling system is usually relatively simple and the maintenance is straightforward. Water reservoirs, filters, and the cooling screens should be cleaned every six months. A simple water pump and fan motor are the two areas where maintenance must be done. These are both very easy to replace if something goes wrong. An evaporative cooling pad will last longer in an environment where the water is cleaner and contains fewer solids and minerals. If the system is used a lot, then more water will pass through the pads. It is important to regularly clean the pads, which is a straightforward task that can be undertaken by the owner or can be included as part of a regular service agreement with the air conditioning service. It is necessary to do this regularly because once these pads have become filled with dirt or minerals, the air flow becomes more restricted and the system does not function as efficiently. They are very easy to replace if needed. A refrigerated system is more complicated and involves the use of a dangerous refrigerant. There are many things that can go wrong with the system and the cost of work on these systems will be higher as well, as a specialist technician will be required and the parts being used are more expensive. Undertaking basic maintenance on your evaporative system is not difficult for the owner, which will reduce costs. On a refrigerated system, it will usually be best to bring in the services of a skilled technician. Fresher air is a major benefit of using an evaporative cooler. A flow of fresh air through your property will ensure that there is no opportunity for indoor pollutants to build up. If you use a refrigerated air conditioning system you will usually be closing up the rooms where it is functioning, and this can create problems with a build up of volatile chemicals in the air. Evaporative cooling helps increase humidity in the air, adding small amounts of moisture as part of the cooling process. This slightly moist air is better for us to breathe. Dry air can potentially cause a number of health issues, particularly with some respiratory conditions and sore throats. Well maintained cooling pads in a quality evaporative cooler will also filter out a range of airborne contaminants before they can enter your home. Overall, with a flow of cool fresh clean air in your home, you will feel healthier and should experience fewer respiratory reactions to the use of the cooling system than you would if you used refrigerated cooling. This is an important consideration, especially if any person in your home has asthma or if they have any respiratory problems. Refrigerated systems have a compressor that is usually located outside. You will probably have heard one of these kick in when the cooling action of the system needs to work. They can be quite noisy, and in a residential system they will usually be located very close to your home. A noisy air conditioning compressor can be very annoying, particularly at night when you are trying to sleep. Evaporative coolers do not use compressors. They simply use a fan and motor and if they are suitably sized for the needs of your property then they will operate very quietly. If you are considering evaporative cooling, Doncaster residents have been able to use the services of Everlasting Air. We have a team of fully qualified technicians and have been providing services to Melbourne’s north-east for more than 35 years. 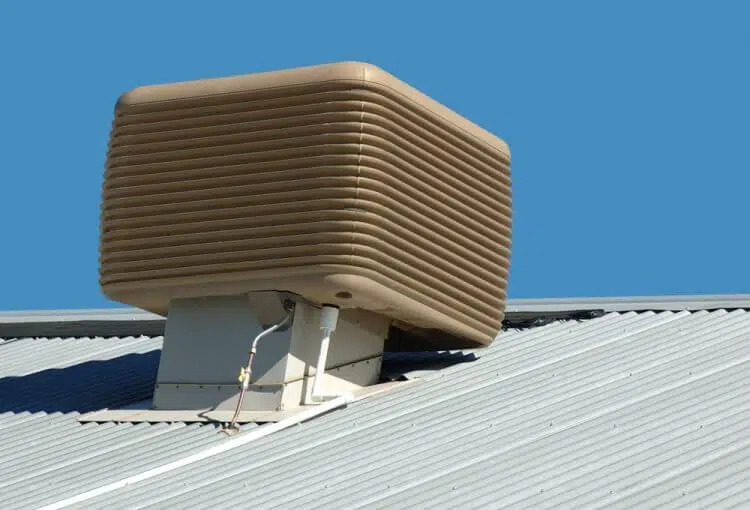 If you are looking for a premium evaporative cooling service in Doncaster or the surrounding region, then contact one of our friendly staff by calling (03) 9335 2900. We will be able to provide you with the information you require about our services and the advanced evaporative cooling systems we install.